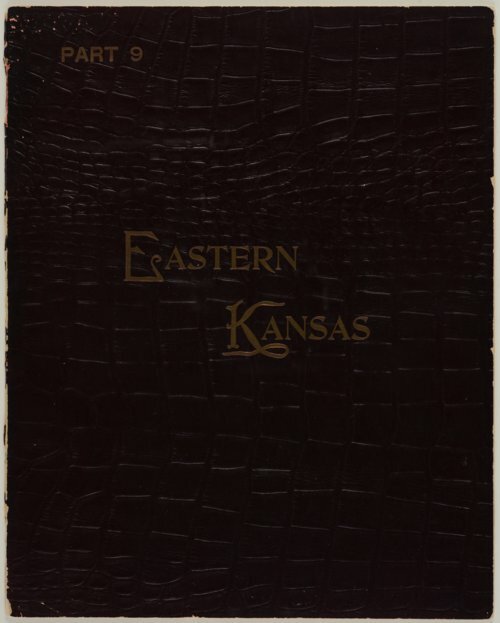 This pictorial book gives a brief overview of eastern Kansas. This is part nine of twelve. Views of Manhattan from Mount Prospect, the Jane C. Stormont Hospital and Christ's Hospital in Topeka, and Fort Scott National Cemetery are some of the featured photographs.